sometime ago, a friend shared a video on my facebook. 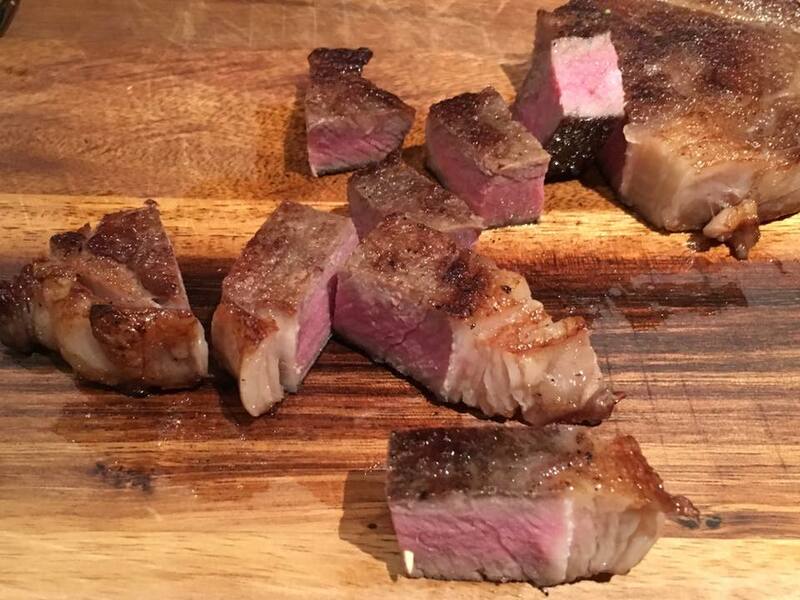 it’s about making the perfect steak by the reverse sear technique. i have been doing that since. 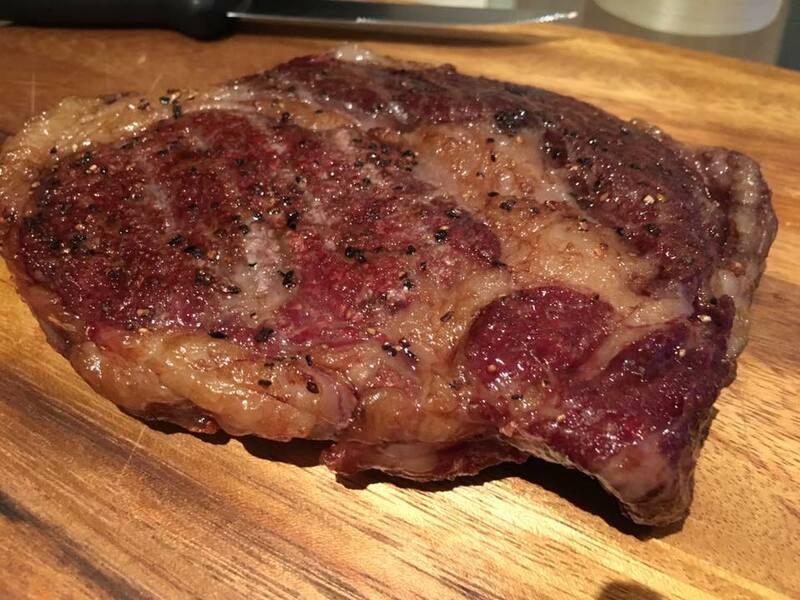 for this evening’s 3pax dinner i used a grain fed black angus ribeye i bought from QB Foods. i had the vacuum packed ribeye for 3 hrs in a 60degC oven. then i pan charred over high fire a minute on each side. 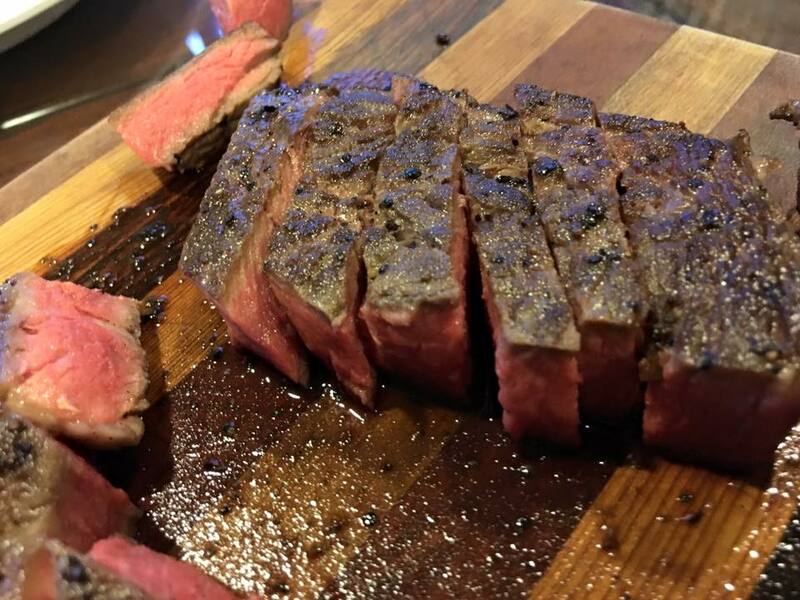 it’s called the reverse sear because the steak was prepared in the oven first to give a consistent medium rare (or medium) then seared to give a beautifully charred steak. i had done it earlier on both angus ribeye. 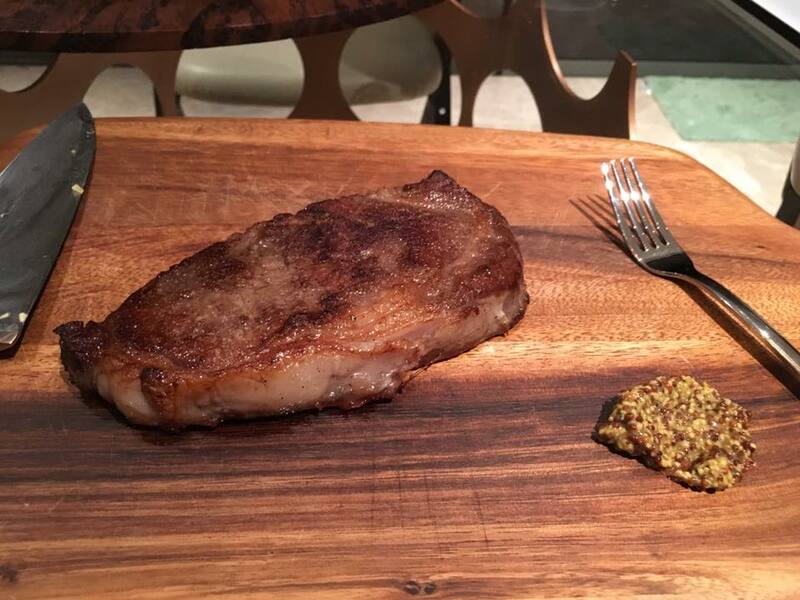 for wagyu, i removed the vacuum pack & left it on a rack. this worked well for a marbled wagyu beef. 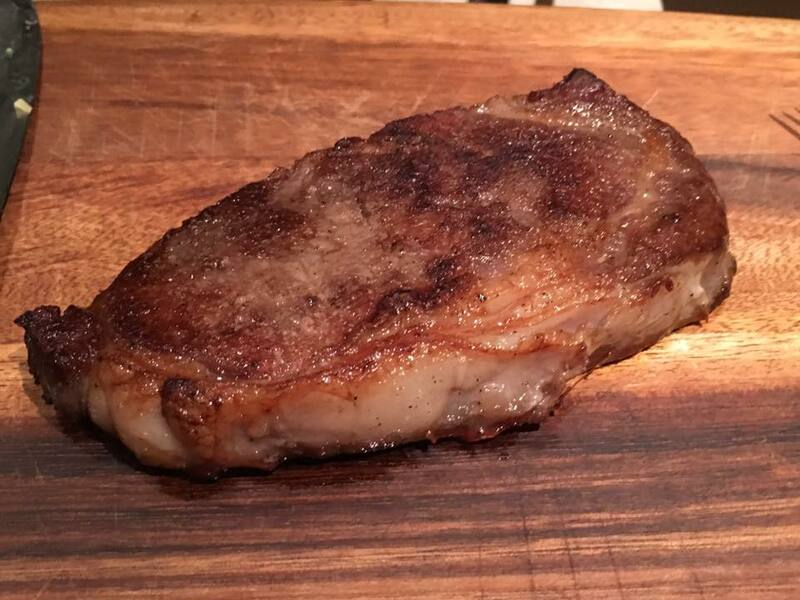 the low temprature oven also gives accelerated dry aging to the fatty steak. it does not work well for the angus ribeye as it becomes too dry, so i did the 3hrs in 60degC oven with the steak still in the vacuum pack. if i remove the vacuum packaging & place on a rack then i increase oven temperature to 90degC & do it for only 1 hr. & that produced a pretty similar result – an excellent steak! This entry was posted in Recipes, western & japanese. Bookmark the permalink. Hi Chef, are we able to do this method using pork? Can post a recipe? hi michelle, thanks for stopping by. becos pork collar is fatty & also with lots of connective tissue, do it at 90degC or 95degC for 4 to 5hrs to tenderise. the connective tissues will convert to flavourful gelatine like a mock kurobuta. Could I check with u what do u mean by vacuum packed the beef in the oven? What did u sealed the beef in? And if it’s some kind of plastic can I know the brand u use? thks Annabel for stopping by. the meats from supermarts & gourmet outlets mostly already sold vaccum packed. for myself, it’s just my own lazy shorthand method, i did not use a meat thermometer & so just put it in the oven at 60degC for a longer period. for best results, it would be better to follow the video & use a meat thermometer. 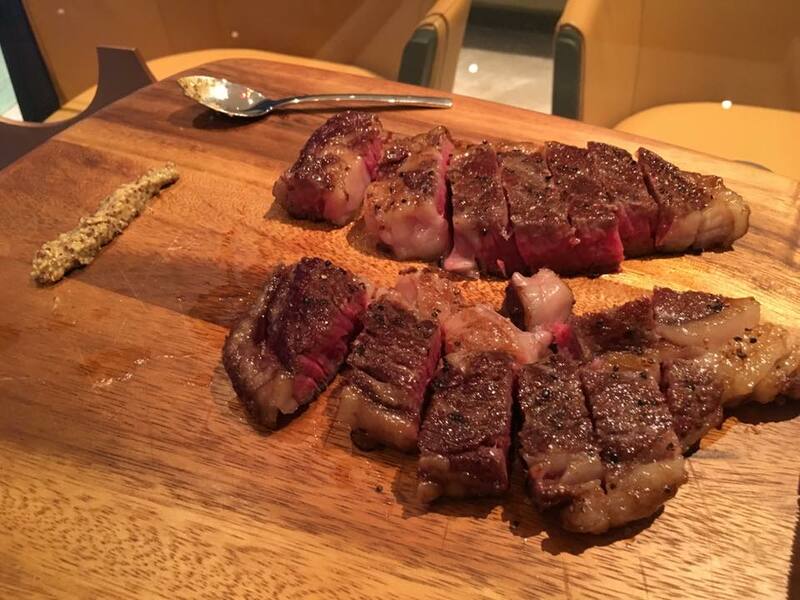 he started at 275degF (135degC) for shorter period & let the meat reached internal temp 125degF (about51.7degC) & continue cooking itself to reach 135degF(57.2degC), the recommended temp for medium rare.